With the assistance of our adroit professionals, we are engaged in providing Branding Communication Design. Acrylic Lettering with LED, Acrylic Sandwich, ACP fabrication, Canvas Wall Paneling, Logo Sign, Danglers & Pop ups. 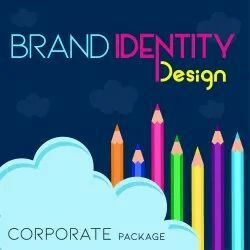 As it is mentioned before that branding is the most valuable asset of a company and in a number of cases, this also works as the driving force behind the company. On the other hand, a logo is basically a wordmark or symbol, or just a combination of both that personifies a company or a range of services or products. 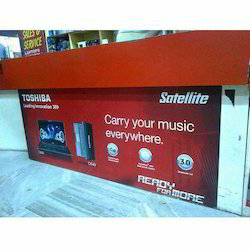 Our merchandising solutions contribute to the sale of products to your retail consumer. A variety of products is available for sale and the display of your products need extra interest which entice customers to make a purchase. Logo is basically an identity of your company & business. Our streamlined process offers fast turnaround with a 100% satisfaction guarantee - perfect for start-ups looking for professional brand quality at an affordable price. After understanding your needs, our specialized designer will start working on your project. Customized: Yes, It will be a Customized Logo Design. Our company has mastered the art in providing Inflatable Branding Service. A unique identity makes a brand stand out from the rest. Through pure dedication and artistic vision, the most important building block of the company is built.